Drink about 17-20 ounces of water 2-3 hours before your workout. Drink 8 ounces 20-30 minutes before your workout. Drink about 7-10 ounces every 15 minutes during a workout and even a little bit more if you are doing a vigorous workout. Finally, drink 8 ounces no more than 30 minutes after your workout. TIP: You can stay hydrated easily by marking your water bottle with a line for each ounce it can hold. 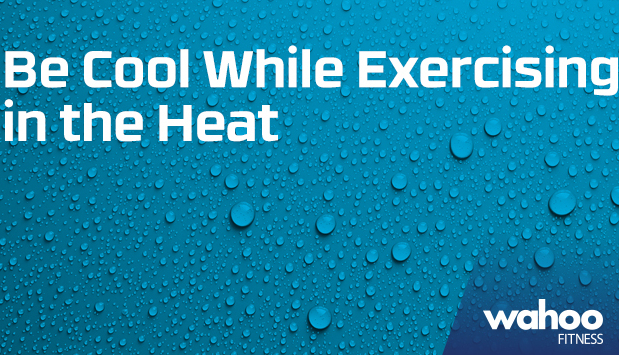 Exercise in the mornings and evenings when the temperature is usually a little cooler. Wear light-colored, loose, absorbent clothing. Seek shade. If you are doing a workout, like the 7 Minute Workout App, then find a big tree or pavilion with tons of shade. If you’re running or cycling then try to find shaded paths or roadways. Be flexible. If the weather proves to be hotter than was planned then change up your workout. Too hot for a run? Try a swimming workout or go for a bike ride where faster speeds will give a little breeze. Avoid high humidity. Even at lower temperatures, high humidity can be a problem because your sweat is not always able to evaporate. For your sweat to evaporate, the outside air needs to be cooler than the heat your body gives off while exercising or there needs to be a low level of humidity. (See tips 2 and 8). Wear sunscreen. Protect your skin even on cloudy days. Nothing will make you overheat like sunburn. Be smart and make good choices. If it is too hot outside, then just stay indoors. If you are already outdoors, then know when to head back inside by listening to your body. But how hot is too hot? It depends on a variety of factors including temperature, humidity, what type of activity, level of intensity, and your physical fitness so you need to pay attention to how you feel. But, to help answer your question of whether or not to work out outside you can use a heat index, which uses both temperature and humidity. This will tell you what it actually feels like outside. When this number is 90 degrees or more then you should bring your workout indoors. So even if the temperature is 80 degrees, it may FEEL like 95!